4 days to go!! Not only are these the simplest DIY deserts to see you through the winter period, they are the most delicious! 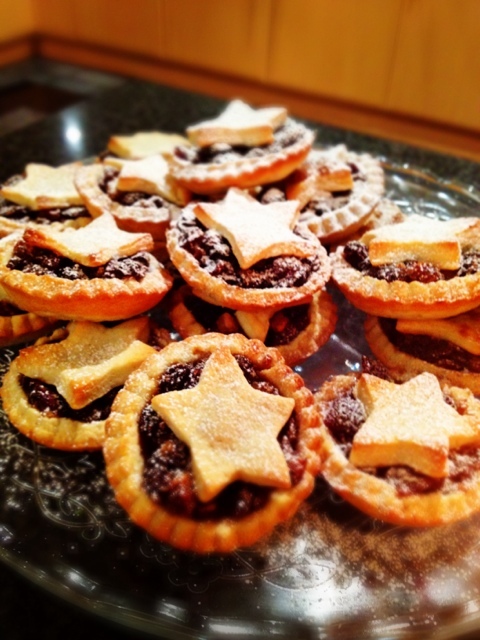 Seriously, the mincemeat combined with this sweet shortcrust pastry has turned a few mince pie haters into fiends, so put those hesitations aside and get the rolling pin and flour out! 5) let the crumbs come together, knead together and wrap the dough up in cling film. Leave in the fridge to rest for 30 minutes! 2) melt a knob of butter and use a basting brush to coat the 12 hole shallow pie tray. 3) roll out the sweet short crust till it is about 3/4mm thick and cut out round circles using a scalloped edge cutter. The size of the cutter is dependent on the size of the holes in the shallow pie tray. 4) place the sweet shortcrust pastry circles into each hole, carefully pinching at the inner sides to create a bowl like space. 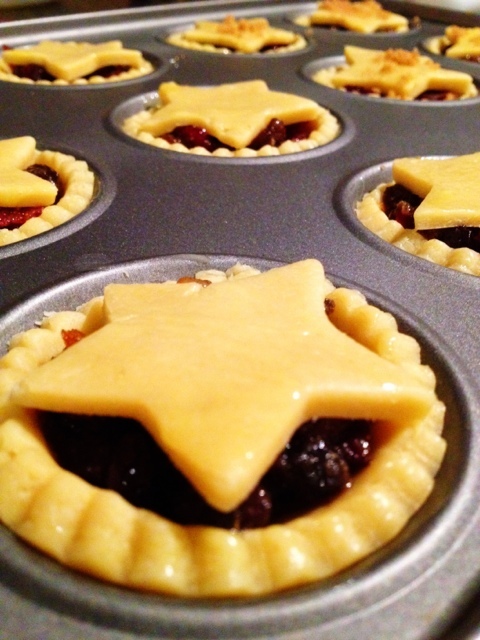 5) grab the mincemeat you made early and place a teaspoon of the mixture into each pie. 6) for the tops you can get creative, I love stars on them so I cut stars and closed the pies with them, others prefer them the traditional way and fully cover them, so this step is entirely your choice! 7) baste the tops with beaten egg to get a lovely golden colour. 9) Enjoy with fresh cream or vanilla pod custard!